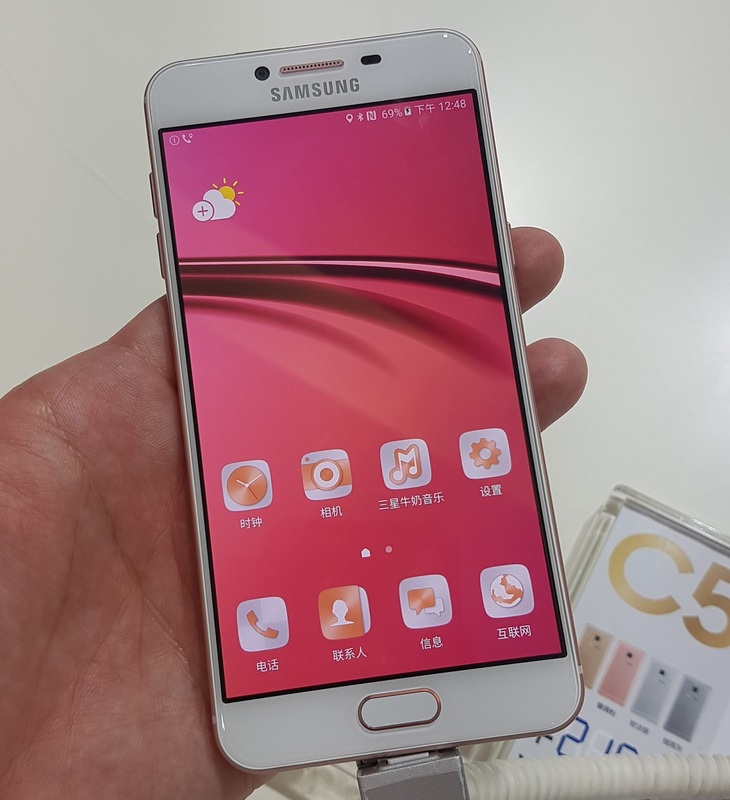 Samsung Galaxy C: Once again in China only! [TECH IN CHINA] Shanghai always serve me interesting gadgets, this post is about Samsung Galaxy C5 and C7, China (soon India) only smartphones. Here are 3 things about these latest Samsung devices which I lay my hands on in Shanghai. China is of course probably the biggest consumer market that any manufacturer worth their salt cannot ignore. Samsung in particular is concerned that they have fallen out of the top 5 smartphone makers in market share for Q2 2016. This is peculiar given Samsung is the current leader in global market share and its overwhelming success of Galaxy S7 and S7 Edge in 2016. Clearly, the Chinese has very different priorities and preferences for smartphones. Which must have been a big question mark in Samsung's Chinese division. What exactly will sell in China if the Galaxy S7 doesn't? I think they created Samsung Galaxy C5 and C7 to answer their own question. While C5 is not flagship class phones, they are still very good in their own rights. Super AMOLED 5.2" 1080p display with 424ppi gives a competent display, nothing fancy but great nevertheless. Samsung C7 are very similar in specifications with the notable difference being the 5.7" screen. At RMB 2,199 for 32GB version. Samsung C5 represents the best the most value for money smartphones in Samsung's line-up today, along side the A series. Galaxy C also has very similar market segment as Galaxy A series. Both metallic and both one step lower than the Flagship S series. One key differentiator is the compatibility of Samsung Pay in Galaxy C series though only NFC payments only. Really, the 2.5D glass and metallic unibody creates a solid and good-feel in hand. What's not so steady is the outlook of the phone that looks like a certain iPhone! A situation not limited to Samsung in mainland China where nearly every phone manufacturer you can think of are adopting very similar full metallic backs. 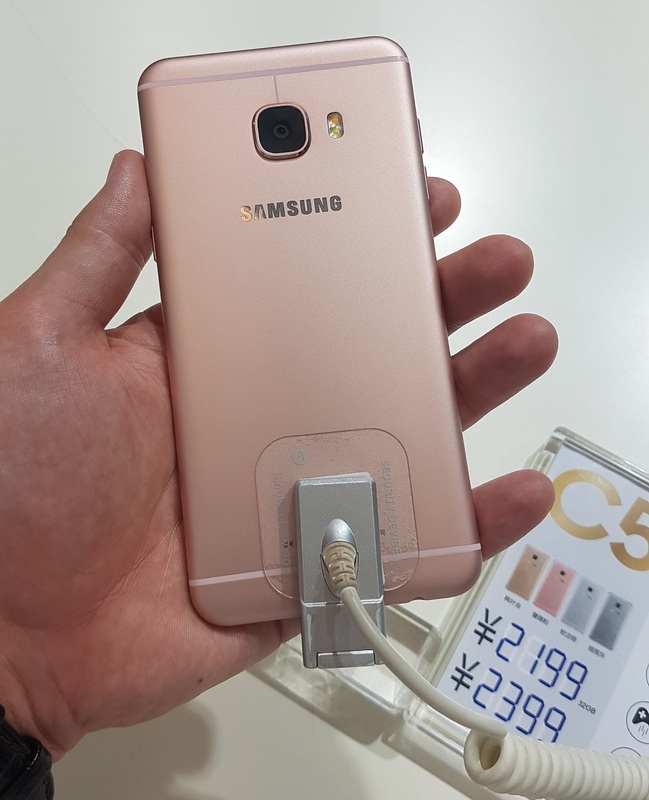 Samsung is probably adopting the if-you-can't-beat-them-join-them mentality with Galaxy C yet it is difficult to see how it would impact their market share in China. Even if Samsung have included their own iterations of localised apps such as WeChat Hongbao function as well as S-Helper for daily shopping and errands in the very well digitalise China. Local manufacturers such as OPPO or Vivo just boast way higher specifications, features and even higher compatibility with Chinese apps at similar price points. GripGo Universal Car Mount: Sticky!